But all in all, I since a big(er) and long(er) fight coming. Also, why am I thinking Lucian say "KAMEHAMEHA!" 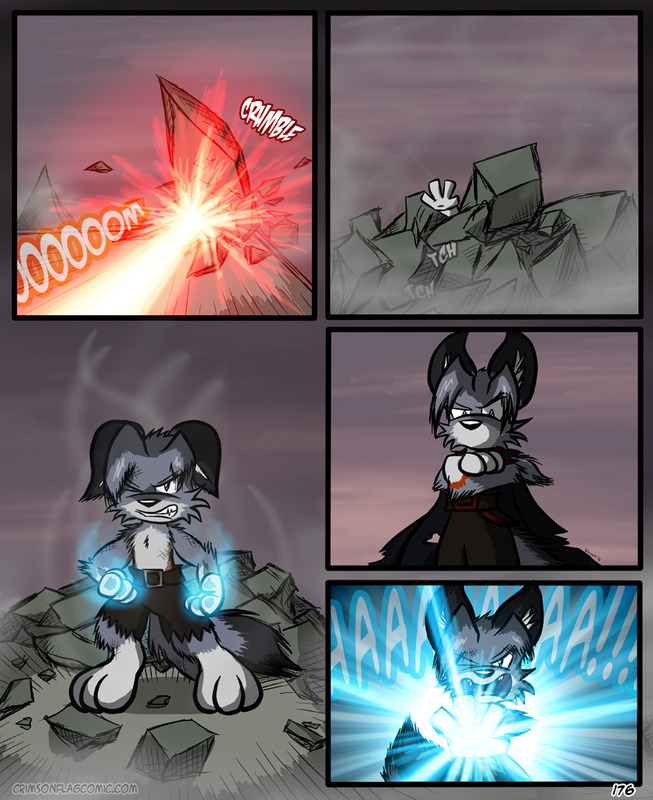 Also, his footpaws look bigger in the bottom-left corner panel. Isn't this the first time we've seen a reyn in CF without a shirt on? And now Lucien is qualified to command the Enterprise.